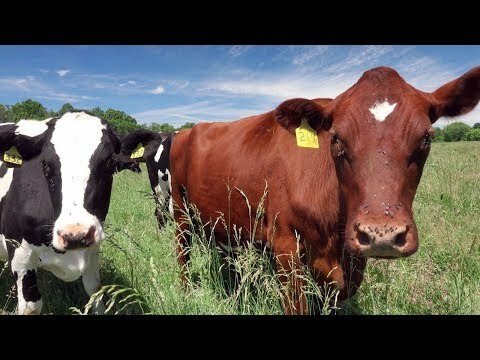 Share the post "Mother’s Milk: Connected to Development in Mammals"
Carol Bagnell, professor-Department of Animal Sciences. Editor’s Note: This article originally appeared in Explorations, Spring 2016. 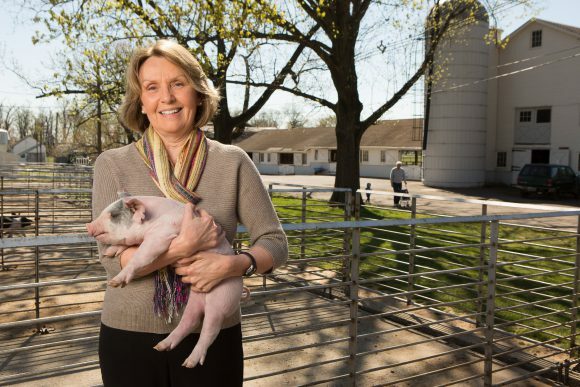 According to professor of animal sciences Carol Bagnell, milk serves as a conduit for delivery of developmental signals from mother to offspring in a lactocrine manner. Lactocrine—a term she coined with colleague Frank Bartol of Auburn University—refers to the transmission of milk-borne bioactive factors from mother to child through nursing. Maternal contributions to offspring development begin at conception, continue through pregnancy but don’t end at birth. Colostrum, the first milk produced by mammals during the late stages of pregnancy through the first few days after birth, contains high concentrations of nutrients and antibodies in a high-protein, low-fat formula that’s easy for newborns to digest. But as Bagnell discovered, these aren’t the only benefits bequeathed through colostrum. She found that colostrum intake suggests that nursing in the days and weeks post-birth may have lifelong consequences when it comes to fertility in adult sows.